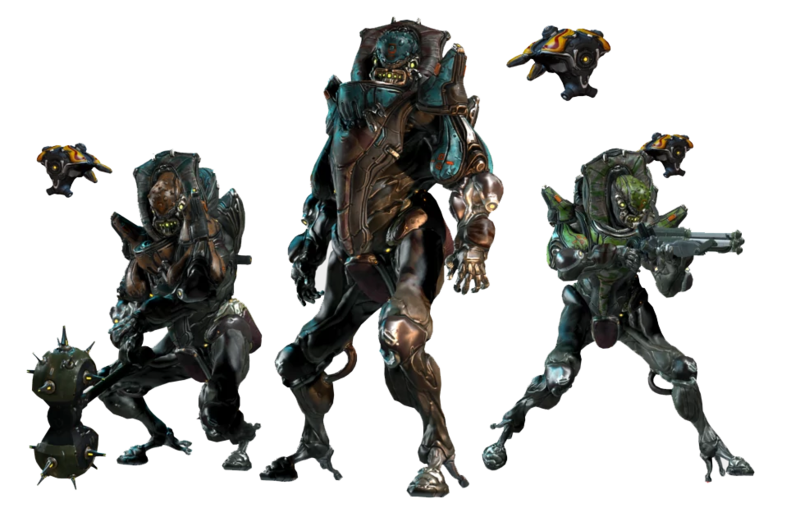 The Grustrag Three (commonly abbreviated as the G3) are a group of Assassins, founded by Councilor Vay Hek, who come after Tenno that have completed five consecutive Invasion missions against the Grineer. The Grustrag Three were formerly regular Grineer marines who (while aboard a troop transport) suddenly slaughtered their comrades, claiming that they were growing “impatient for the killing”. After being committed to the Grustrag Reconditioning Facility, Facility Director Dr. Tengus discovered that the marines suffer from a rare mutation brought about by cloning, vastly increasing their combat potential at the cost of deteriorating mental faculties. Under Vay Hek’s order, Tengus reconditioned them, with the intent of focusing their aggression towards the Tenno instead. Although mostly successful, the Three still had lingering violent behavior towards fellow Grineer. To counteract this, Tengus developed the Grustrag Bolt, a device that limited their effectiveness against other Grineer personnel. 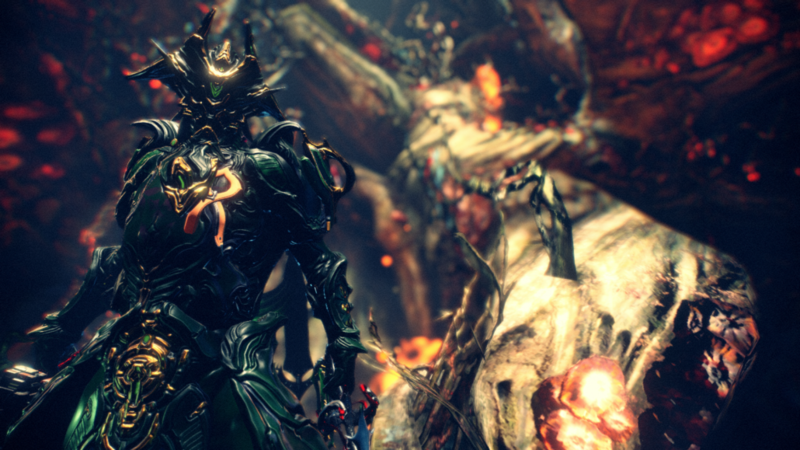 Tengus had additional Bolts created, to be used against the Tenno during the Three’s operations. 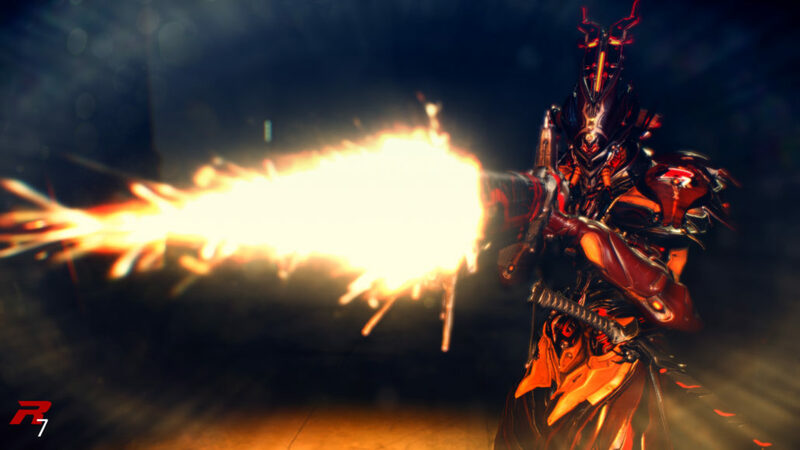 With The Grustrag Three now prepared for combat, Vay Hek deployed them with the sole purpose of attacking those who supported enemies of the Grineer. However, Sargas Ruk criticized Hek’s actions, reminding Hek of the soldiers The Three have killed and warning him that they would eventually grow out of his control.